We will have two ride offerings for this Saturday. I have mapped out the routes and have the details ready. 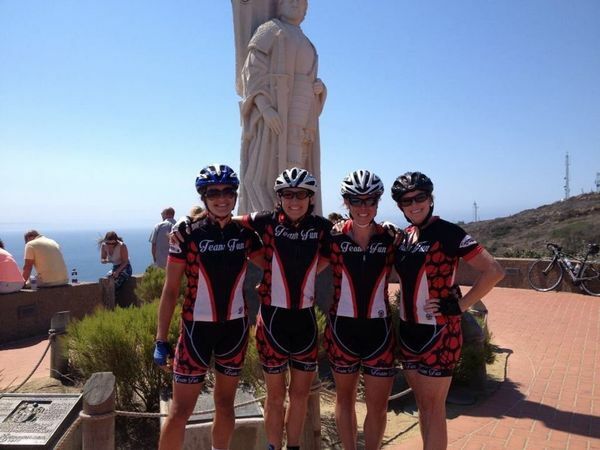 The ride to Point Loma is an out-n-back approximately 80 mile ride with ~3500 ft climbing. This ride is primarily flat, however, it includes Torrey Pines and other coastal hills (nothing is completely flat here!) We plan to take this ride at a social pace, enjoying the company and the scenery. The views in Cabrillo are impressive and worth the ride. I am thinking we may want to stop for a snack of real food somewhere in Point Loma before heading back (Point Loma Bakery and Bistro is an option – on Rosencrans and Canon). The plan is to ride all the way to the end of the point through Cabrillo National Monument. Since this is part of the National Park Service, there is a fee – previous times we generally paid less than what we should, but the regular price is $3/bike. If you have a National Parks pass, please bring it along. Those who are active military should be free (although you may need to check the National Park site to be sure). I checked the weather forecast for next Saturday – it says 72 and sunny. Should be just perfect! For those that want to ride TO Point Loma, but not necessarily back FROM Point Loma, you can return by train from the Old Town station. The total distance will be approximately 50 miles with 2300 ft of climbing. The price to ride the Coaster one-way is $5.50. The Coaster leaves Old Town at 12:33 pm – there are some later options – but not until past mid-afternoon (see the Coaster schedule here). If you are interested in the train option, please leave a comment below and we can work on those details to make sure that works out (i.e., we may have to start earlier or… I am open to ideas). n addition to the Point Loma ride, Michell will be leading a beginner ride of around 33 miles down to Del Mar to explore scenic Del Mar Heights. This is a great option for those who don’t have the time or are not ready for the longer excursion. As many of you know, Michell is a fantastic ride leader and has a plethora of cycling knowledge. This is a Team Fun Featured Ride, and we hope many of you will be able to attend.